Can you believe the last time I participated in a tag was in 2015? 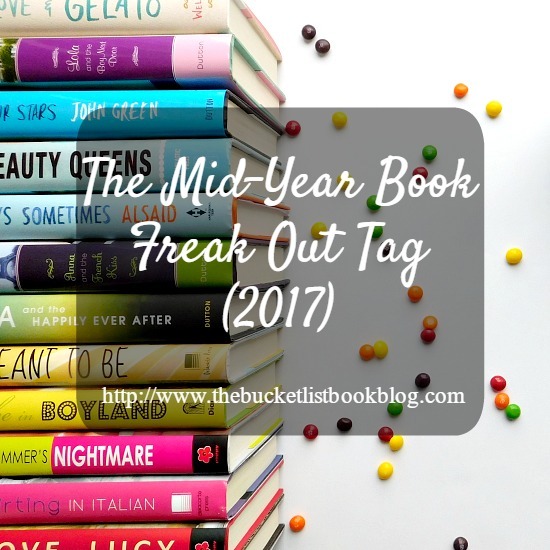 I rarely do tags but when I saw this one over at Lost in a Story, how could I not join in? It's a great way to share all the amazing books I've read so far this year. So far in 2017, since this morning, I've read a total of 57 books so it's about time I've shared some of my favorites with you. 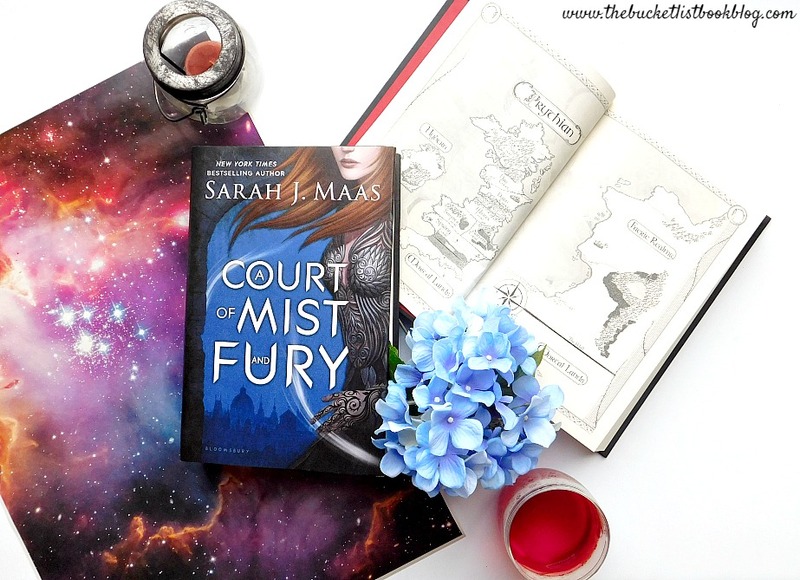 A Court of Mist and Fury by Sarah J. Maas: I am so late to this fandom but hello, here I am. This book was absolute perfection. The story unfolded so well, the character development was on point, and the world building went beyond the retelling of the first one. So fantastic! 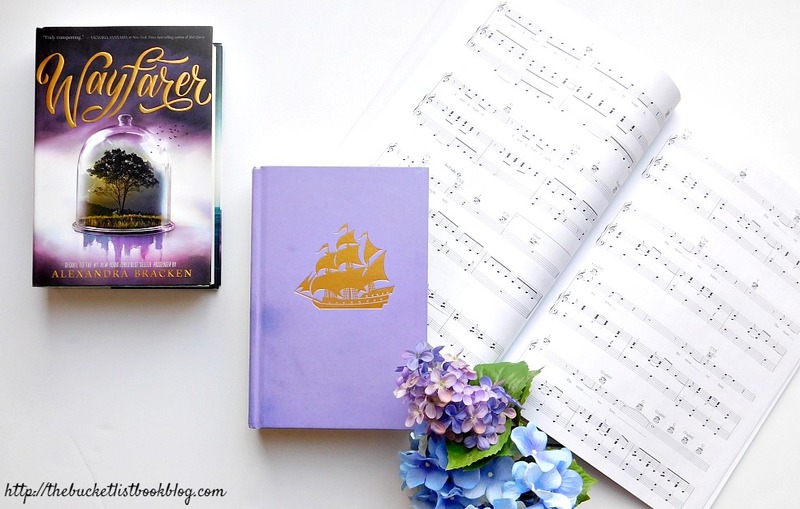 Wayfarer by Alexandra Bracken: I love me some fantastic time travel any day. Passenger was just okay for me. It wasn't spectacular and the ending seemed like such a cheat that I wasn't sure I wanted to continue. I am so happy I did because Wayfarer takes what you know about generic sequels are throws all of it away, seeming to start with a new slate, it goes beyond the limits of the first. Amazing! 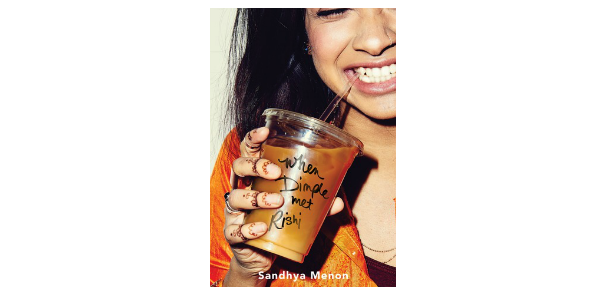 When Dimple Met Rishi by Sandhya Menon: This released at the end of May and I haven't been able to snag a copy yet. It seems everyone is reading it now and I haven't read one bad review on it. I wasn't sure at first if I should pick this up or not. It's about an arranged marriage, promising to be the next big rom-com. However, with all the hype, I'm getting sucked into maybe giving it a try. Lucky in Love by Kasie West (7/25/17): I discovered Kasie West last year and she has definitely become an auto-buy author for me. Every contemporary she writes is filled with cuteness that I simply can't pass up. In this one, the protagonist wins the lottery and suddenly, she doesn't know who she can trust. She falls for a guy who doesn't ask for anything in return. 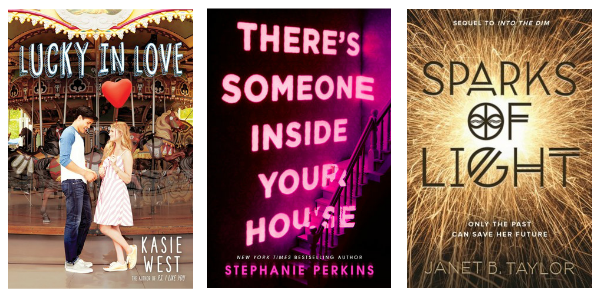 There's Someone Inside Your House by Stephanie Perkins (9/26/17): When I first heard about this book, I couldn't believe it. I thought this was a joke. Stephanie Perkins, the author who wrote adorable romances like Anna and the French Kiss and Isla and the Happily Ever After is back and this time, she's trying her hand at the horror genre. Sparks of Light by Janet B. Taylor (8/1/17): You know how I love my time travels! This is the sequel of Into the Dim, the debut that rocked my world! It's finally-almost here. 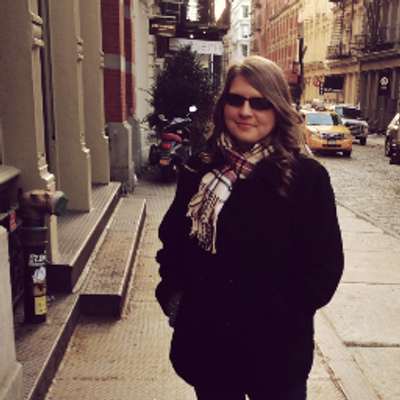 Set in Scotland, Hope finds herself part of a time traveling gang. I can't wait for all the Doctor Who references and action packed adventures! 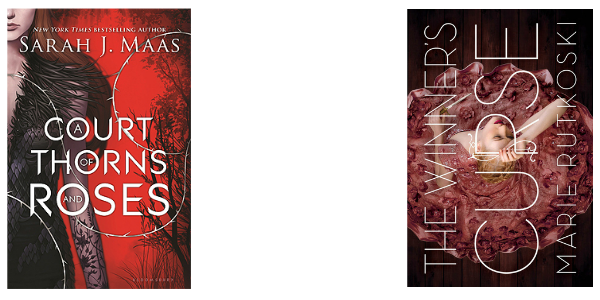 A Court of Wings and Ruin by Sarah J. Maas: Since A Court of Mist and Fury was such perfection, I was expected the next book in the series to follow in its footsteps. I was a bit disappointed to find that it didn't even come close to perfect. Instead, it wobbled with a redundant ending, long-winded scenes about politics, and blatant foreshadowing that gave the whole book away. The Wrath and the Dawn duology by Renee Ahdieh: I was happily surprised that I loved these books! 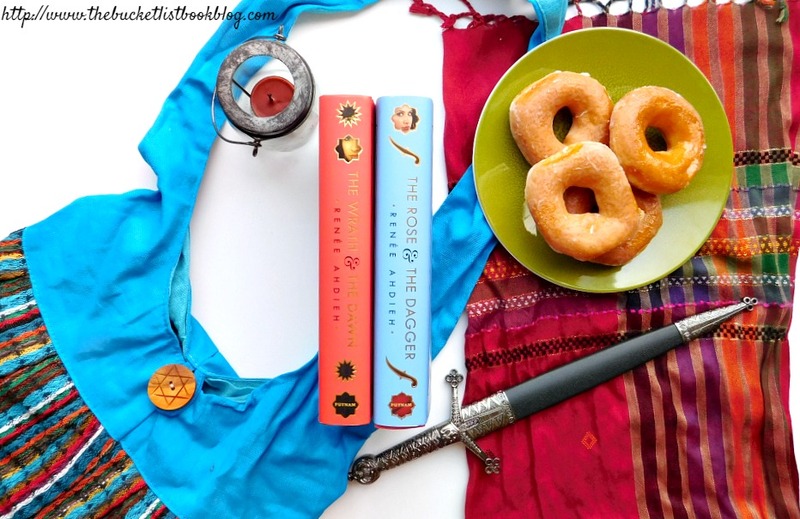 I've read a retelling of A Thousand and One Nights before and it wasn't for me, but The Wrath and the Dawn weaved the story a little differently and I felt myself as mesmerized by the second as much as I was by the first. 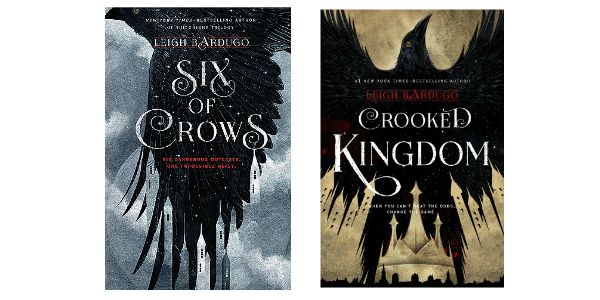 Leigh Bardugo (author of Six of Crows duology): This series has absolutely everything! An impossible heist, an amazing cast of characters, and incredible world building will leave you wanting more. I must read more of her books now! Rhysand from A Court of Thorns and Roses series by Sarah J. Maas: It's no surprise that I found Rhys irresistible. At first, I was on the fence but Rhys won me over with his gorgeous charm and smoldering looks. Arin from The Winner's Curse trilogy by Marie Rutkoski: I adore everything about Arin. He has so much patience and is incredibly sweet. 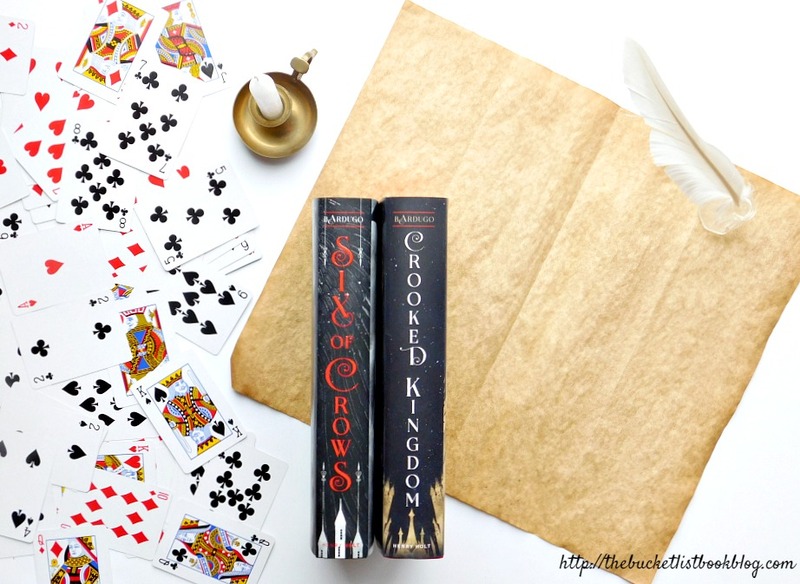 Kaz and the gang from Six of Crows duology by Leigh Bardugo: I know I'm repeating myself but, seriously, this cast of characters is so well-written with incredible development and amazing back stories. 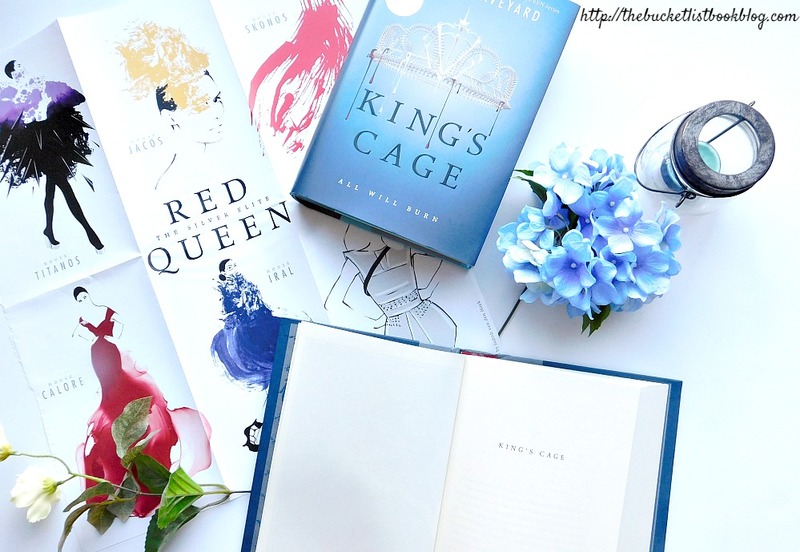 King's Cage by Victoria Aveyard: This book released early on this year and was a gem. It was my most anticipated book of the year and as soon as I got it in my hands, I devoured it. The ending shattered me. I'm still shaking my head at the injustice. Always and Forever, Lara Jean by Jenny Han: It was sad to finish the last in the Lara Jean series but this book made my heart so happy. It was nostalgic, giving me all the graduation feels. Plus, the romance between Peter and Lara Jean and the amazing Song girls add so much cuteness to the mix, it's hard not to smile the whole time. 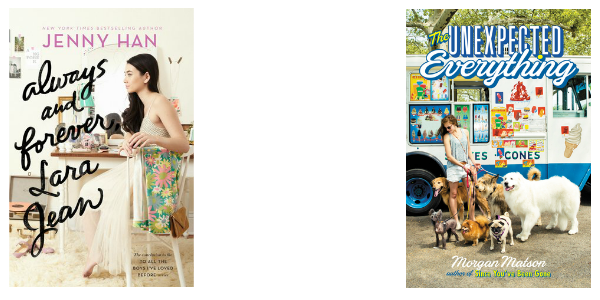 The Unexpected Everything by Morgan Matson: This book was filled with happiness! If you want to make me smile, add: summer vibes, adorable dogs, and a fantastic cast of characters. Yes, please. 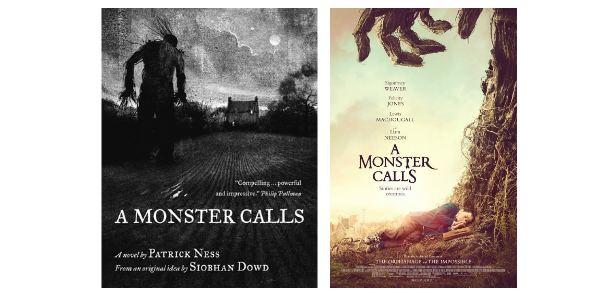 A Monster Calls: I saw this one in January. Surprisingly, I haven't seen that many book-to-movie adaptations this year. A Monster Calls was good, filled with gorgeous cinematography. Thoughts on Watching the TV Show Before Reading the Book: I finally finished Outlander by Diana Gabaldon but only after, I had already watched the first two seasons. It was fun to compare and see how the show and book differ. The Beauty and the Beast by Gabrielle-Suzanne Barbot de Villeneuve: I don't have many collector's editions of books but this one was too gorgeous to pass up. It comes with some interactive items too, including pop outs of the Beast's castle and Belle's library. I cannot wait to read it. Right now, it is safe in its packaging; it's just so beautiful! 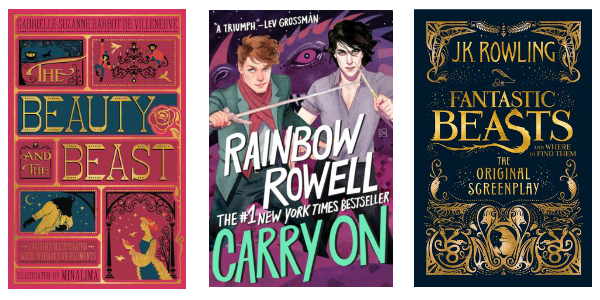 Carry On by Rainbow Rowell: Truthfully, I wasn't going to read this one. I wasn't terribly interesting in it since it sounded like a rip off of Harry Potter. However, when this paperback edition recently released with a pull out of the map of the school, I caved. It was so pretty and every time I went to the store, I had to look at it. Fantastic Beasts and Where to Find Them by J.K. Rowling: Everything about this book is beautiful. The colors work amazingly and the embossed gold lettering on the cover is fantastic. Ink and Bone by Rachel Caine: This has been on my TBR for so long. I don't even know how I got it. But it's Rachel Caine so it must be amazing. Plus, I have heard some good things about it so I'm excited to finally read it. 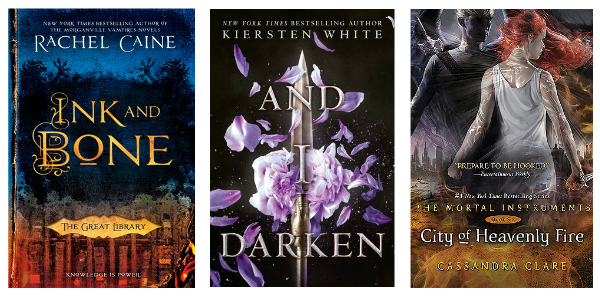 And I Darken by Kiersten White: The sequel of this one comes out soon. I am trying to stay on top of series because I'm behind in so many. I know nothing about this except Kiersten White is a fabulous writer and always knows how to make me laugh, there is a princess and maybe an assassin in this one, and that's one pretty cover. City of Heavenly Fire by Cassandra Clare: I know, I know. I need to read this so I can start diving into Lady Midnight and Lord of Shadows, which I own too. Every time I look at the book, it's just so big and I get so nervous about starting it. I don't want anything to happen to my babies, Simon and Jace! Have you done this tag? If so, I want to read it, link it down below! If not, I tag all of you. Let's get chatting about our favorites of the year so far!